Reading and laughter are similarly infectious; once you start with either, it becomes difficult to stop. Each can take over the body and mind entirely, and they can even spread to others nearby who see that you have been afflicted. The two contagion can support each other too, and there are so many reasons to enjoy reading funny books. Funniness is hard to quantify, and I suppose we all have different triggers. Me myself, I have always enjoyed word play, slapstick and the surreal. Much as when I was a kid in primary school, I still appreciate the look on Mr Bean’s face as he hurls tins of beans at the headteacher in the school fayre. Awkwardness is a rich pool for cringing humour as well; few things give me as much joy as watching a man accidentally drop a steak bake out of its wrapper and onto the train platform (as I recently did) and to see the utter helplessness in his eyes as he tried to work out whether anyone had noticed. I did notice, and it was excellent. Humour can be a little bit like that – a little dark, sometimes – and you can find that reflected in writing that has been created to make you laugh. It is not accidental that so much comedic writing for children focuses on the gross and the unfortunate. The world of Roald Dahl is often seen as the gold standard for children’s funny writing, and it is certainly the most popular; with its vengeful and sadistic cast of oddballs locking people up in chokeys, peeling off their faces to reveal the witchy interiors and brewing sickening concoctions to feed ones’ elderly relatives it is certainly as dark as it is humorous. The most famous fables in the children’s literary canon have similarly peculiar interplay between the humorous and the barbaric. We giggle along as the wolf drags itself up as Red Riding Hood’s grandmama, but it’s not long until the woodcutter comes along to bludgeon it or cut it open, or fill it with rocks, depending on your variation. Simply put, this weaving together of the threads of humour and menace is exciting, whether you are an adult watching Alan Partridge plead for a second series or a child reading about how that pesky villain Mr Gum is going to meet his sticky end. Sharing these books with children is a real pleasure, as it is always nice to have a room full of laughter. I have my hesitations about endorsing too many celebrity authors, as there are legions of incredible children’s authors who are overlooked, but I have to be honest in explaining how much I enjoyed sharing Russell Brand’s version of The Pied Piper of Hamelin with my pupils. It is masterfully illustrated by Chris Riddell, and the interplay between the lucid high-octane floweriness of Brand’s writing and Riddell’s chaotic imagery makes it a really intoxicating read. As a primary teacher, over the course of a year, you come to know what makes your pupils tick. Just as you learn the best ways to settle them down to work, to motivate them to think deeply and to produce their best work, you can track what makes them laugh, if you chose to do so. 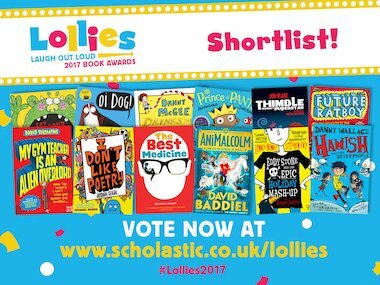 Scholastic’s Laugh Out Loud Book Awards (the Lollies) are a great place to start if you are wanting to bring some new up-to-date funny books into your classroom. The children in my school have been diving into the shortlist, and I have enjoyed popping into the lunch-hall to see a boy and girl in Year 1 throwing their heads back in laughter at Lou Kuenzler and David Wojtowycz’ ‘Eat Your People’. The Year 6 lads were sharing poems about fried chicken from Joseph Seigal’s ‘I Don’t Like Poetry’, and were ruminating on where to get the best wings. Funny books like these are excellent in their own right, but they have additional benefits. 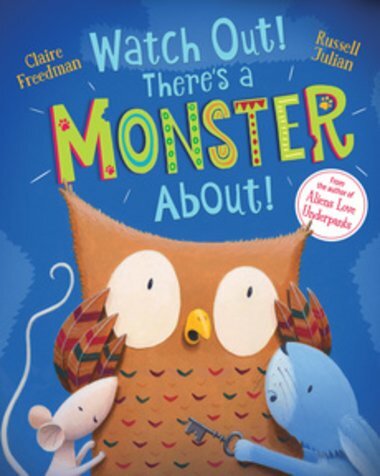 A book with the power to make a child laugh is the most readily-available antidote to reading-reluctance. Their accessibility and the way they can make a child feel both demonstrate that quiet magic that can exist between the covers of a book; in this way, they can be the ‘gateway’ to other forms of fiction, which might tease out other elements of the human condition. What follows is bound to be subjective – what I find funny, and what my children enjoy might not work for you or yours – but I stand by them because they are excellent and … I like them! The Mr Gum series is perhaps my favourite little collection. The humour is anarchic and silly, the characters are aloof and the truth is a lemon meringue (in joke…) His picture book ‘Danny McGee Drinks The Sea’, illustrated by Neal Layton, is a joy, and is on the Lollies shortlist for 2017. A leftfield retelling of the classic tale, featuring gore, unlikely heroes and the phrase ‘a spoonful of bum custard’. This 1950 rumpus throughout the lives of the ‘great names of history’ will have any geekish 10-13 year old chuckling knowingly. William Steig illustrates, and his other creations include Wizzil, Doctor de Soto, The Amazing Bone and – wait for it – Shrek. Maz Evans created the hugely popular ‘Who Let The Gods Out’ and its sequel ‘Simply the Quest’. These stories are laugh-out-loud funny, bringing the ancients kicking and screaming into your classroom and living room.